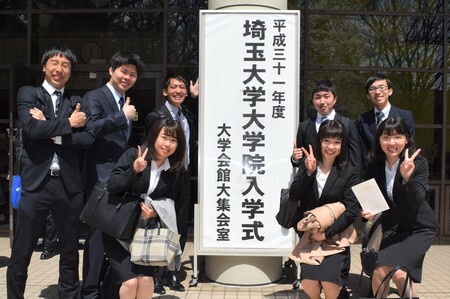 The Spring 2019 Entrance Ceremony for graduate school of Saitama University was held at University Hall on Friday, April 5th. 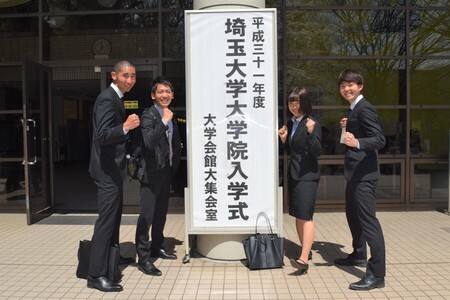 Newly enrolled students included 597 master and professional degree students and 45 doctoral students. 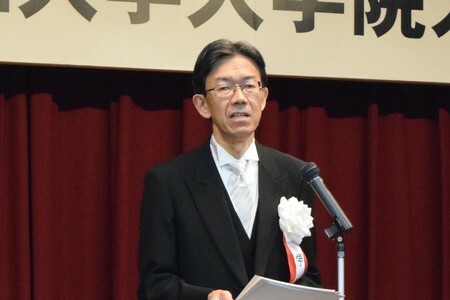 President Hiroki Yamaguchi gave an address in English at the ceremony and expressed a cordial welcome to 111 students who came from 21 overseas countries, and encouraged them, saying "Research is a repetition of challenge and failure aiming for a higher stage, and an act that you can't do without passion. I do want you to challenge furiously on your researches with out-of-the-box thinking."